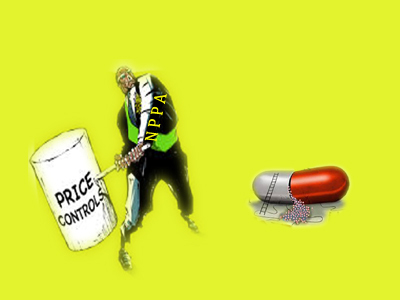 NEW DELHI: National drug price regulator NPPA is on the rally. After fixing prices of a number of drug formations of around 30 drug formulation packs, including those for TB, Diabates, Asthma and many antibiotics, on 13/07/2015, it has fixed the prices of 39 formulation packs. This time drugs include those used to treat diseases such as diabetes, infections, digestive disorders and pain among others.As per the notification the prices of formulations including Ciprofloxacin Hydrochloride, Cefotaxime, Paracetamol, Domperidone and Metformin+Glimepiride has been fixed. Established in 1997, NPPA has been entrusted with the task of fixation/revision of prices of pharmaceutical products (bulk drugs and formulations), enforcement of provisions of the Drugs (Prices Control) Order and monitoring of prices of controlled and decontrolled drugs in the country.